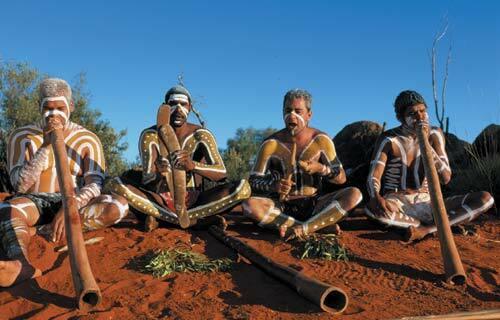 Aboriginal people represent the longest continuous culture on the planet and were masters of land management and living in harmony with the environment. They are a deeply spiritual people, and have strong kinship networks which are impossible for privileged white Australians to ever really understand. They have been brutalised by the white occupation, and the tragic social problems we see in those communities are the result of this brutalisation. We must work hard to Close the Gap by privileging and foregrounding Aboriginal ways of being to maintain this beautifully diverse culture. Unless perhaps you live in the Mesolithic Period in an outback Aboriginal community, you will no doubt have heard of the City of Fremantle’s recent decision to move Australia Day and rename it to One Day to make it a ‘culturally-inclusive alternative’. Unless you’re insane, you probably spat out your cornflakes upon hearing about this. Just what is going on over there? Now I love Fremantle. The prison tour was great, the markets and al fresco café vibe is charming and the blazing sun is quintessentially Australian. Lovely place. Obviously though, we may have to invade it and kill some people. Rather than wax lyrical about the insanity of the Cultural Marxist elites on the City Council wanting to virtue-signal to each other, about the angry backlash this will inevitably generate and the totalitarian nature of the phrase ‘One Day’, I’m going to look instead at the larger philosophical issue we have with how Australians in the twenty-first century think about our natives. Calling things by their real names and speaking plainly about reality is the first step to solving any problem. Just ask a former junkie. So let’s translate the above paragraph into something more representative of the truth. Aborigines wearing war paint… wait, what? Aborigines were really good at camping and orienteering. They killed off the megafauna when they arrived here through unsustainable hunting practices. They never achieved civilisation. It also seems that the groups that were here when whites arrived had taken the place from earlier groups anyway. In other words, they invaded it. Aboriginal ideas of marriage were more like our idea of sexual slavery. They practised child marriage. Like all prehistoric groups, they lived their lives in constant fear of spiritual entities. While they had developed a remarkable knowledge of how to live off the land, their diet was extremely unhealthy and life expectancy was tragically short. By the standards of modern Western civilisation, their kinship obligations and collectivist mentality trashed the rights of the individual and created pathological relationship dynamics. Life in prehistoric Australia before 1788 was extremely nasty, brutish and short. A culture being ‘continuous’ means it never developed. That’s a synonym then for ‘failure’. Things were looking up for the natives, though, when Europeans arrived. Much ink has been shed regarding how much blood was shed and why, and I’m not going to cover that well-worn terrain here. The way the left talks about the topic it is as though no people had ever invaded any other people before. This is a manifestation of the myth of Aboriginal exceptionalism that I’m critiquing. Sooner or later, everyone gets invaded. To go 40000 years without it happening is a pretty good run. When the barbarians invaded the Roman Empire through mass immigration over several decades (sound familiar? ), the standard of living declined in many areas. It took the Muslim raids on the coasts of southern Europe, though, to bring in the Dark Age, and it was a millennium before things got humming in Europe again. When the Mongols invaded China, the Middle East and India, civilisation took a hit for a while before it bounced back. A few centuries later they had their high points. The British settlement of Australia provided the natives with the greatest civilisational leap ever experienced in history. They went from Mesolithic to Industrial Era in an instant. Of course this was a painful process, but not as painful as it was for the 300 generations of Europeans and Middle Easterners who made the process gradually. It was a free gift. What bounty the First Fleet brought to the indigenes! No more bloody witchety grubs! Why is it then that the Cultural Marxist elites on the Fremantle City Council are so against Australia Day? The root of this insanity goes back to around the time that Australia was being liberated from the Stone Age and to that nasty cretin Jean-Jacques Rousseau. What Marx was to the Russian Revolution of 1917, Rousseau was to the French Revolution of the 1790’s. Like Marx, he was a parasite who never worked an honest day in his life. He was an expert at leeching off his aristocratic buddies, and wrote a series of treatises which blamed the evils of property and civilisation for the corruption of man. He wrote these while living in the lap of luxury with the aristocratic women he seduced. Rousseau’s main thesis was a corruption of the Christian Biblical narrative. Original Sin in Rousseau’s mythology was the development of property. This alienated man from each other and began our corruption. The natives of the Americas were therefore morally superior because they had not developed this corrupting concept of property. This myth has been called the idea of the ‘noble savage’. It also provided a philosophical basis for the belief that the poor are morally superior to the rich just by virtue of being poor. Marx later built upon this basis to develop his revolutionary dialectical philosophy. Thanks for nothing, Jean. 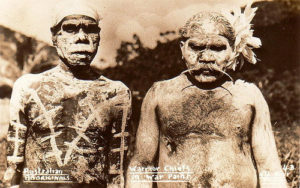 The white Cultural Marxists today who believe in the myth of Aboriginal exceptionalism, that Aboriginal people are a unique category of humanity that should not have the same moral standards applied to them, are adherents to this nonsense of the noble savage. It’s a stupid and toxic belief which has created untold suffering in the lives of Aboriginal people in this country. When blackfellas beat their wives, it’s because of the ‘Stolen Generations’. When black women ignore and neglect their kids, it’s a ‘cultural practice’. When a horde of shoeless Aboriginal children spend all day running around the hovels their community inhabits, it’s a ‘kinship network’. This is the racism of low expectations that is the result of the leftist elite believing fanatically in the myth of Aboriginal exceptionalism. Have you ever wondered why Aboriginal children dye their hair blonde? I did. Whenever you see one of those horrid outback communities in an ABC segment in which they are praising some march or some protest somewhere, the kids have blonde streaks. It’s not hair dye. It’s because they’re malnourished. Why don’t the journalists ever ask questions about that? Why do urban Aborigines receive scholarships and government funding out the wazzoo? Did they have some land taken from them? Are they considered intellectually deficient? I would be offended if the Marxist bureaucrats who run our country decided I was so stupid or incompetent that I needed special government grants just to get anywhere. It would cheapen any sense of achievement I could have if I did succeed. One of the main reasons, however, that we cannot criticise the myth of Aboriginal exceptionalism is that there is an entire class of professional parasites who rely upon this myth for their careers and their social status. It’s a rockin’ gravy train baby; all you need to do is just not say anything true about Aboriginal people. If you happen to be Aboriginal, and even better a woman or transgender or something even weirder, you’re going places. You could be the CEO of an allied health initiative or a consultant for an advisory body working for the improvement of Aboriginal educational outcomes. Just don’t rock the boat by not lying and you’ll be fine. The real victims of all this intellectual dishonesty by the leftist elites are the Aboriginal children who are forced to grow up crushed between a Stone Age culture which has died and a postmodern culture which treats them like ornaments of its own righteousness. Until the 1960s, things were getting slowly better for Aboriginal people. They were being integrated into the mainstream culture, educated at boarding schools and adopted by Australian families. Of course there was prejudice; that’s life. Try being Irish 200 years ago. But at least there was hope for these people that they could join the rest of humanity in enjoying the fruits of modernity and contributing to the advancement of civilisation. Since the Cultural Marxists took over, however, and began preaching the myth of Aboriginal exceptionalism in every school and university in the country, things have gone backwards. It’s horrible out there. The police, health workers and educators who are not brainwashed Marxists can’t say anything about what they encounter for fear of professional reprisals. Everything becomes an ideological struggle for the Marxists who profiteer upon the suffering of the natives. These are the people who are condemning Aboriginal children to lives of hopelessness, dysfunction and despair. Perhaps Freo should crack open that prison again and put the Cultural Marxists inside for a while. Then the rest of us can celebrate Australia Day together and get to work bringing Aboriginal Australians back into the civilisation they deserve to be a part of. Moses is the author of CIVILIZATIONISM, a freelance writer and an advocate for Traditional Nationalism, a philosophy which seeks to restore realism as the basis for political organisation in Australia. You can find out about the movement at http://www.restoringaustralia.net, or on Facebook and gab.ai. The Abos are Dravidians – exiled lost and displaced “Hillbilly Hindus” – just like the North American Injuns are really only a bunch of exiled lost and displaced backwoods hillbilly ASIANS. There is no such thing as a civilization without a wheel. That is why there is no Indian civilization and no aboriginal civilization or sub Sahara African civilization. Whitey brought the wheel to their mess of a society. What if a big invisible wall surrounded Australia back in 1770 and Cook passed it by? Where would the Aborigines be now whilst the rest of the world powered ahead. Would they be better off or just wandering around killing Kangaroos and dragging their females around by the hair, Would they still be smashing each other over the heads or spearing each other? Time to have a serious debate on who actually owns the country and what its future is.